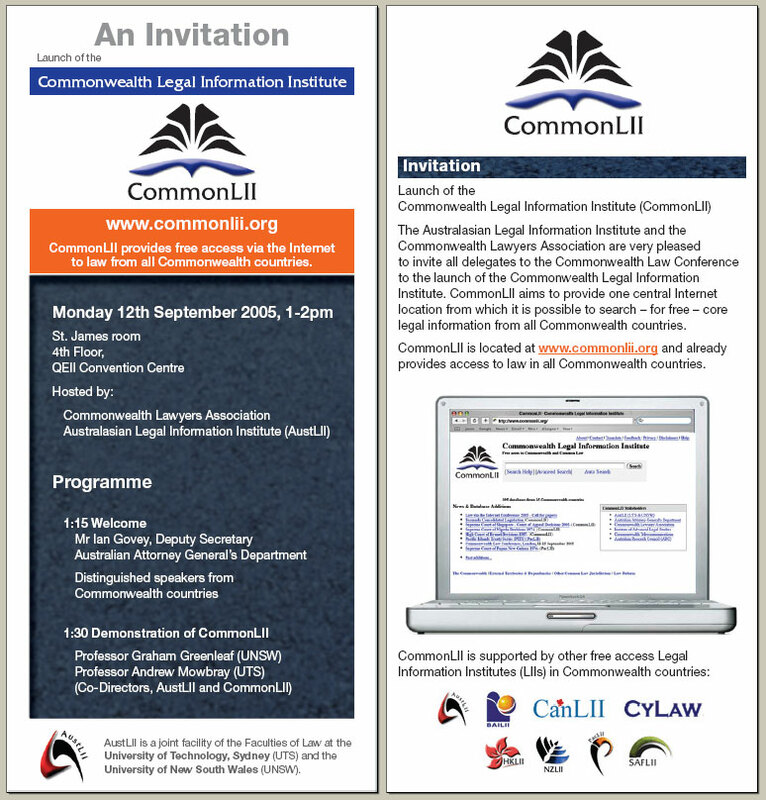 The Australasian Legal Information Institute (AustLII) would like to announce the launch of the Commonwealth Legal Information Institute (CommonLII), located at <http://www.commonlii.org>. Like other LIIs, CommonLII is free access and non-profit. CommonLII already allows browsing and searching of 464 databases from 50 Commonwealth and common law countries and territories. Many of these databases are located on existing LIIs in Commonwealth countries, but CommonLII contains databases from 30 additional countries. Additional databases are under development. There is a Catalog of law websites for all Commonwealth countries. Notable database collections on CommonLII include those from India (very extensive), from Singapore and Malaysia, from most Caribbean countries, and from ten African countries. It is also possible to search Commonwealth-wide legislation (from 30 countries), or case law or law reform. 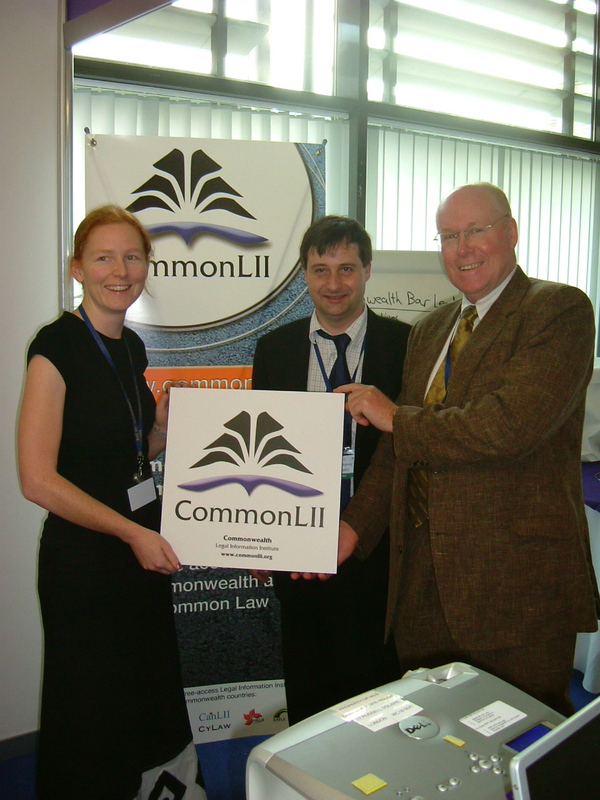 CommonLII was launched at the 14th Commonwealth Law Conference, which has just concluded in London, by Mr Ian Govey, Deputy Secretary, Australian Attorney-General's Department. 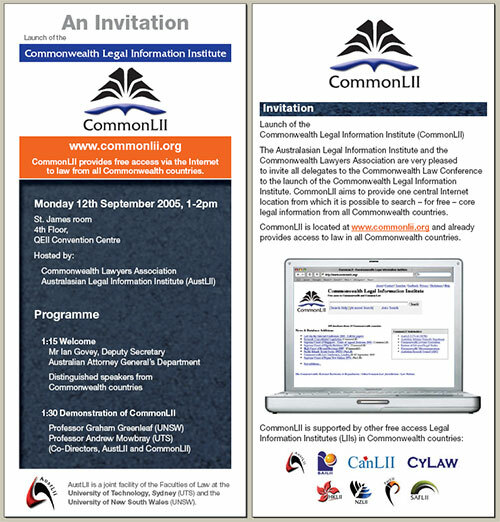 CommonLII is supported by the Commonwealth Lawyers' Association, Commonwealth Magistrates' and Judges' Association, Commonwealth Association of Law Reform Agencies, the Institute of Advanced Legal Studies and the Commonwealth Telecommunications Organisation. The Australian Research Council and Australian Attorney-General's Department have provided initial funding for development of CommonLII. We would like to thank all institutions from Commonwealth countries whose legal materials are included in CommonLII, and all organisations providing support. We would also like to thank all AustLII staff for their work on CommonLII. Feedback is welcome, particularly requests to include additional databases. 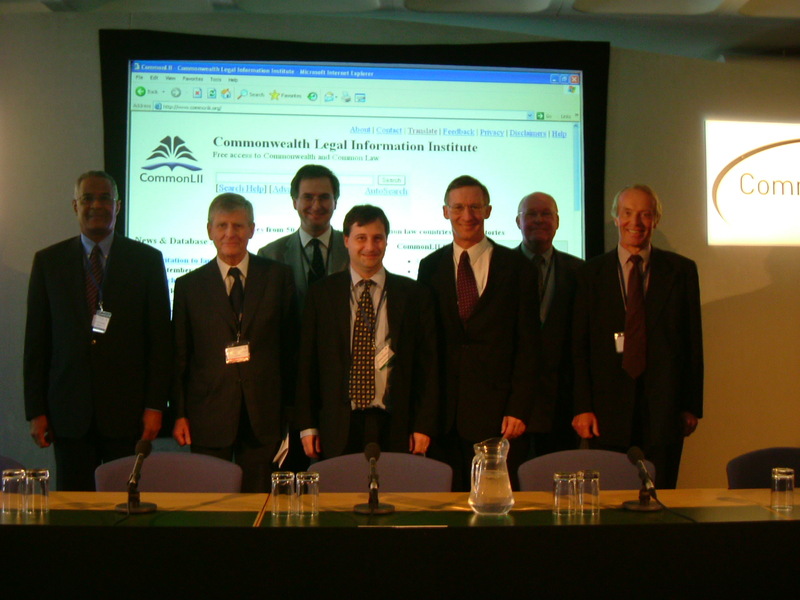 Speakers at the launch of CommonLII (L to R): The Hon Sir David Simmons KA ; The Hon Murray Gleeson; Jules Winterton; Professor Andrew Mowbray; Mr Ian Govey; Professor Graham Greenleaf; Mr Michael Sayers - See details of launch programme below. Co-Director, AustLII & CommonLII; Comments will cover background (AustLII and Free Access to Law Movement) and objectives of CommonLII. Mr Govey will enter the password for the last time before CommonLII becomes freely available, thereby ‘launching’ it for public use.